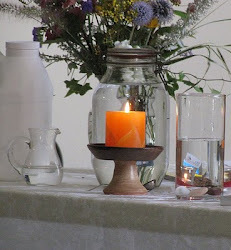 UU A Way Of Life: Tuesday night class - The first principle of UU. What is a "person"? Tuesday night class - The first principle of UU. What is a "person"? This is the first class of 16 in a weekly series on the First Principle of Unitarian Universalism the inherent worth and dignity of every person. This first video deals with the idea of what is a "person" who has worth and dignity? I loved your closing comment about how Life loves you because It has shared Itself with you, you are an extension of it, a manifestation of its creation. I also like the part about our being fear is a fear of inadequacy and defectiveness which gives rise to shame one of the most painful emotions that we as humans experience. My biggest fear is of imperfection, not being perfect. I am so afraid of making mistakes and how I must look to other people when I appear ugly, or stupid, or incompetent, and just silly. I have been a people pleaser most of my life in my attempt to get people to like me and approve of me. I have learned to let this stuff go and just trust Life that I am what I am and Life loves me unconditionally. When I do this well, I am very generous and compassionate with others and when I am uptight and defensive I can be irritable and close hearted. I agree with the idea of a "person" while it is easily understandable in colloquial language is much more complicated when we try to unpack it. 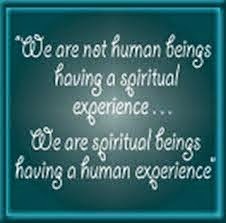 Perhaps from a spiritual perspective it refers to the ground of our being that divine spark that is in each of us. It certainly is not the ego do you think? The ego is not the person, the ego is the ego. We play many roles in life and unfortunately we often identify with those roles and think that is us but then over time the roles change. We no longer are little children and if we live long enough we are no longer Mom and Dad. We sometimes mourn the loss of these identifications but they are not us, not at our core, only roles we play in this drama of life. It is easy to become identified and attached to a role especially if we like playing it, but it ultimately will bring us sorrow unless we learn how to detach from it and observe it, but certainly we cannot get too caught up in it because it is only a role which is different from our essential nature. Role attribution can appear to give us honor and dignity or a lack of it, but this kind of honor and dignity is counterfeit and not the real deal of which the principle speaks. I welcome your further thoughts and the thoughts of others on this idea that the ego is not the person of dignity and worth. There are a few of us at our church who wondered if we could use your videos as a basis for a discussion group we are thinking of running? I think the videos could be the stimulus for some great discussions. You are very welcome to use the material on this web site in any way you think would be helpful. Good luck and I am interested in how it goes for you and your group. While there is no cost for the materials here on this web site your donations are very welcome and appreciated. You can donate using PayPal which you will find in the right hand column. Thank you for supporting the work of UU A Way Of Life.